Welcome to the Montainer website! We are so grateful for your continued patronage and trust in our work. 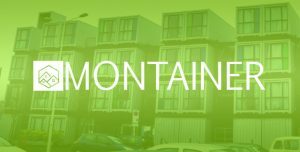 We in the Montainer team upcycle shipping containers and use them as the primary building material for homes, schools, backyard cottages, apartments, restaurants, offices, retail shops and even hotels. If you want to get our services, kindly send us an email at inquiry@montainer.org. The Montainer team is working double time to respond to inquiries. Please bear with us since there is quite a number of requests and orders. We will do our best to answer each one and provide you with your quotations in the coming days. To enhance our works and services, please provide us some suggestions and concerns, please send your messages via feedback@montainer.org. Team Montainer would like to thank you for supporting local industries. We hope we can work with you again and for those who are interested, we look forward to working with you soon.